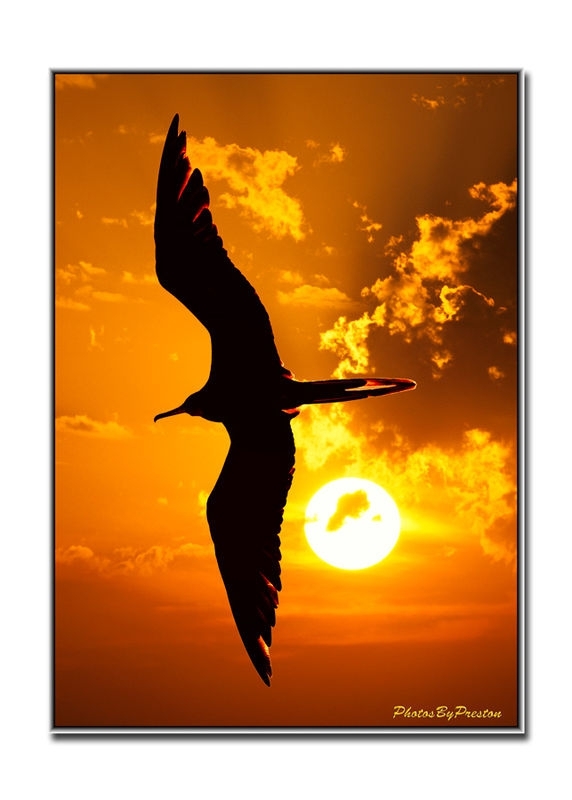 A Lucky sunset shot capture with my closed eyes of this frigate bird. Wow, that's great and more then just luck! Wow...beautiful! Love that your eyes were shut! Beautiful . . . great timing! Beautiful,very well timed photo. Mine have an overexposed sun with no bird. I will be heading out to the Galapagos next December..........I must remember to keep my eyes shut! !